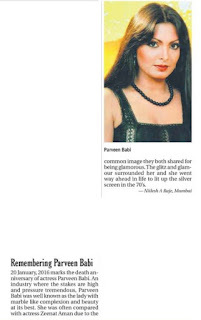 22 January 2016 : Short piece penned down by me on actress Late Parveen Babi featured in today's Afternoon Despatch and Courier Newspaper Mumbai edition . . .